As you may know, the Findhorn Hinterland Trust has received funding from the Heritage Lottery Start Up Fund to develop a vision for how the “Findhorn Hinterland” can be managed in an integrated way for public benefit. 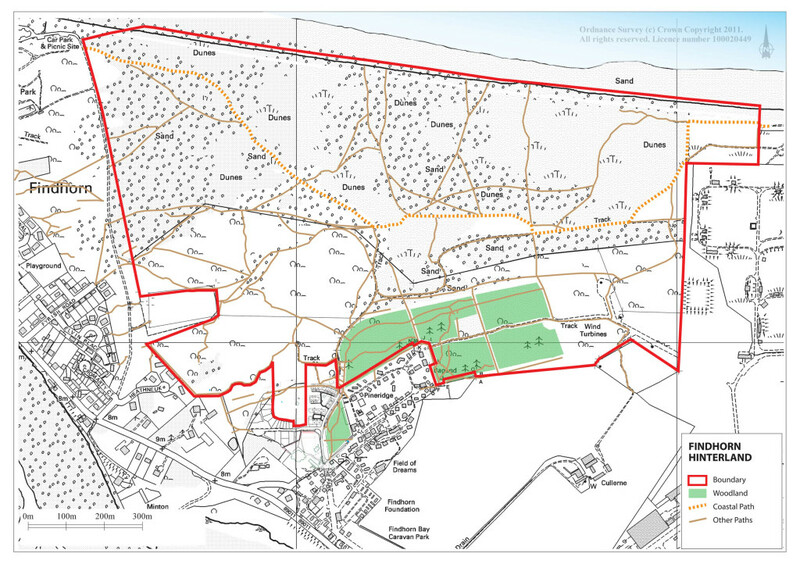 The Findhorn Hinterland describes the area of land South of the Moray Firth, West of the MOD boundary fence, North of the built up park of The park and East of the Dunes Road (often called the Beach Road). It is owned by The Findhorn Dunes Trust, The Findhorn Foundation and Duneland Ltd , and presents specific management challenges and opportunities. We would be very grateful if you could spend some time filling in this short survey. Click on the link below. The survey is confidential. Here is a map of the area for reference.